In the previous installment of our honeymoon travelogue, Cori and Ryan spend 40 minutes in a single tunnel. 40 minutes they will never, ever get back. After our fourteen-hour day on the motorcycle and waking up at 5:00am for our incredible hike, Ryan and I were glad to be on the last day of the motorcycle part of our trip. We both had a ton of fun on the bike, but were looking forward to returning to the comfort (and headed seats!) of our Volvo as we continued on our trip through Europe. But first we had to make it back to Kristiansand! 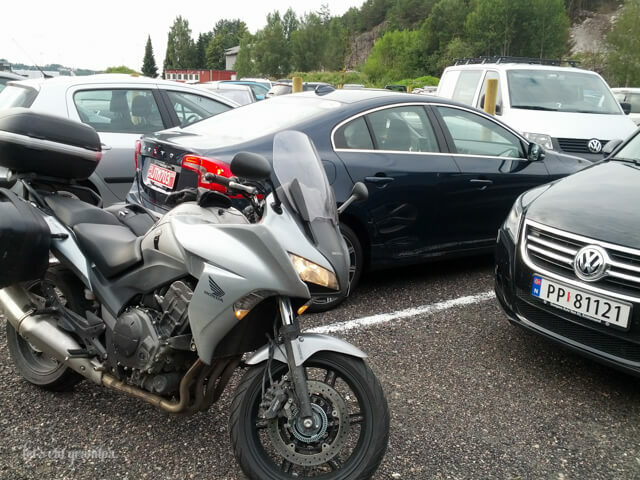 We loaded the bike and headed for the Lysebotn ferry. Despite a lot of research, we had no idea if this ferry carried vehicles, what time it was running, or, frankly, even if it was running at all. We were the first people to arrive, and the clerk at the nearby grocery store said it would probably arrive at 1:00 or 2:30 pm. It was only 9:00 am, so we had some time to wait! Slowly a line of cars started to form behind our motorcycle and we were more and more certain we’d actually get to ride a ferry that day. With so much time to wait, we started making friends with other people in line. There were a trio of friends from Azerbaijan. They said they’d seen our bike several times during their travels in Norway — they’d done a lot of the same things we had! We also started chatting with a couple from France, Emmanuel and Letizia, who were also on a motorcycle. 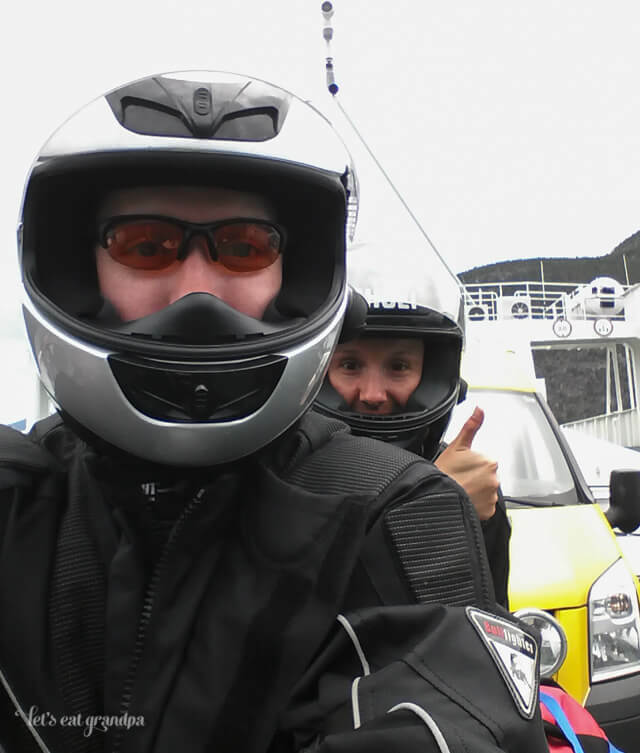 They were traveling around Norway on their motorcycle for a month! We thought our nine days was pretty extreme. Many hours and one or twelve naps on the lawn later, the ferry finally arrived. Unlike the many regular car ferries that took us across the various fjords of Norway, this was more of a high-speed passenger ferry with room for a few cars. We fit up front with some other motorcycles, then they Tetris-ed on the cars until the thing was packed. The ferry took off, much faster than any other boat we’d been on so far. Ryan and I went out front to enjoy the gorgeous views. 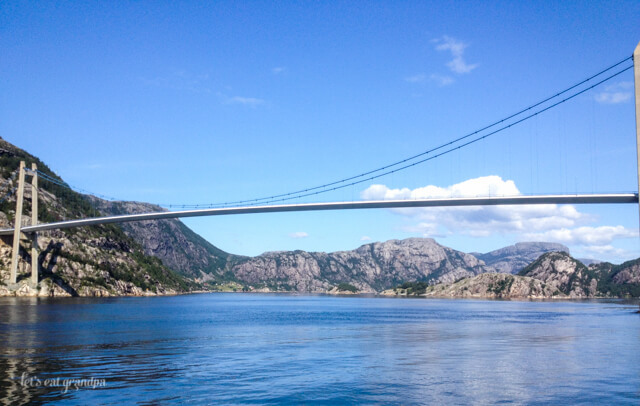 After a while, we found ourselves sailing along below Preikestolen. 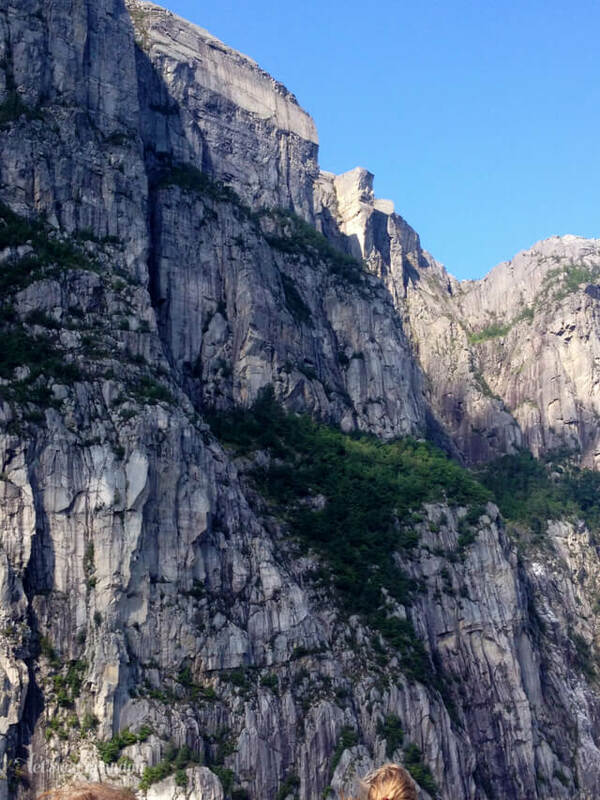 To see that square bit of rock jutting out over the fjord way up there made me realize just how incredible our morning hike had been. We grabbed some coffee and went out back to chat with Emmanuel and Letizia some more. Once we got to Lysebotn, we decided we’d all ride together as far as our paths would take us, which turned out to be several hours on the bike. It was fun to ride with another couple along the crazy roads that we met on the other side of the ferry (we didn’t stop at this particular viewpoint, but talashme.com’s photo shows the insanity). This particular road had an 360° oblong tunnel that looped underneath the switchbacks (illustrated here). Norway, your roads are crazysauce. But we like them. We rolled into Kristiansand that evening — it had been a long day! Good thing we had a great little place to stay at the Bellevue Villa (the cheapest of all our hotels, actually). 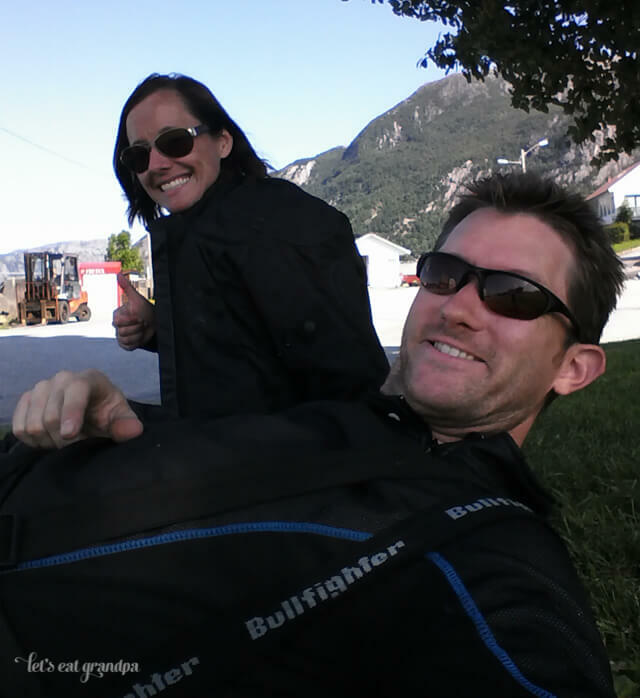 We crashed and crashed hard, totally exhausted from our nine days on the bike. The next morning we went and picked up our car and dropped off our motorcycle at the dealership. It was bittersweet. Seeing the world by motorcycle can’t be matched in a car. 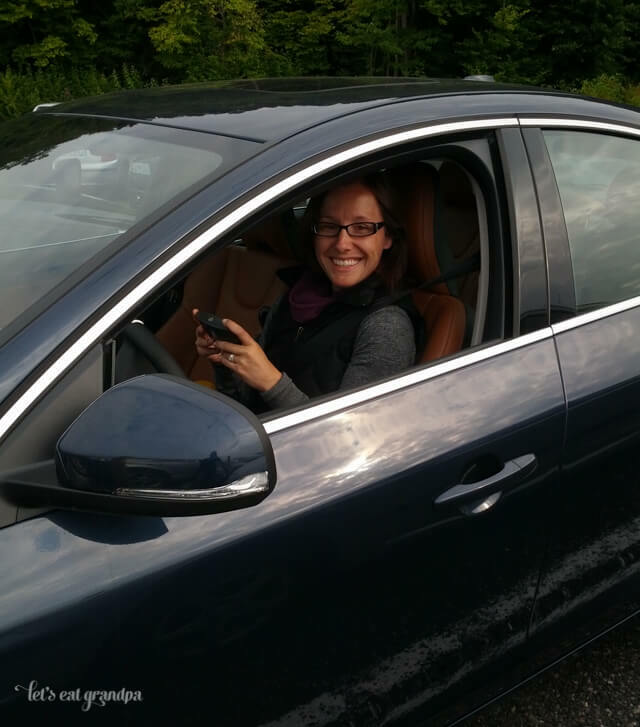 But the heated seats and weather-proofing of the car can’t be matched by a motorcycle. Did I mention heated seats? Happy Cori! Ryan was definitely bummed to leave the motorcycle behind (though he was one day closer to driving our new car on the Autobahn, so it wasn’t so bad). 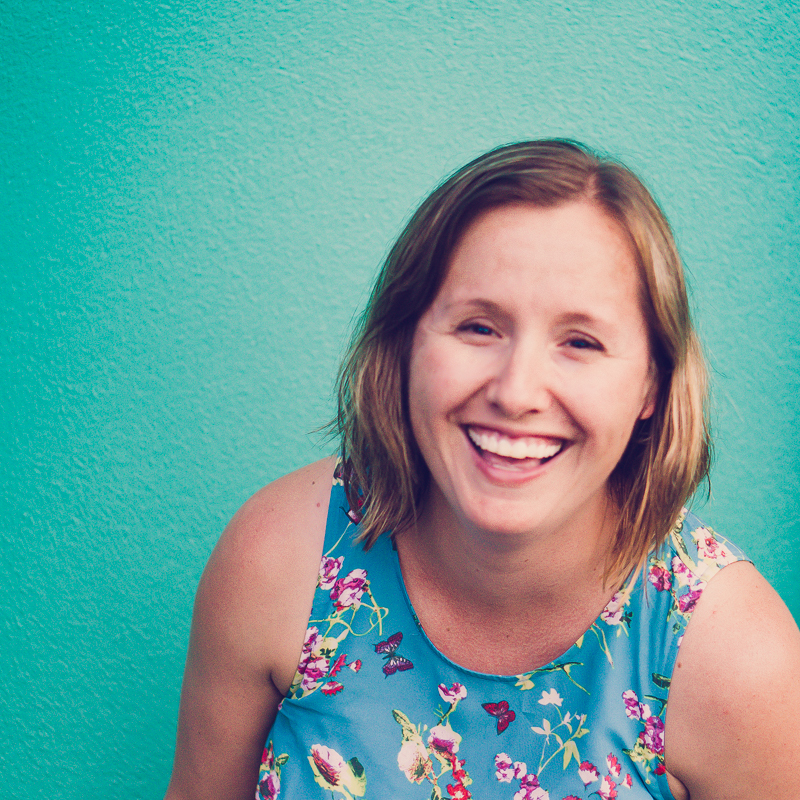 We talked a lot about whether we would do a motorcycle trip again — without a doubt! It was nice to have all of our clothes to choose from again, as opposed to the limited wardrobe we carried on the bike. 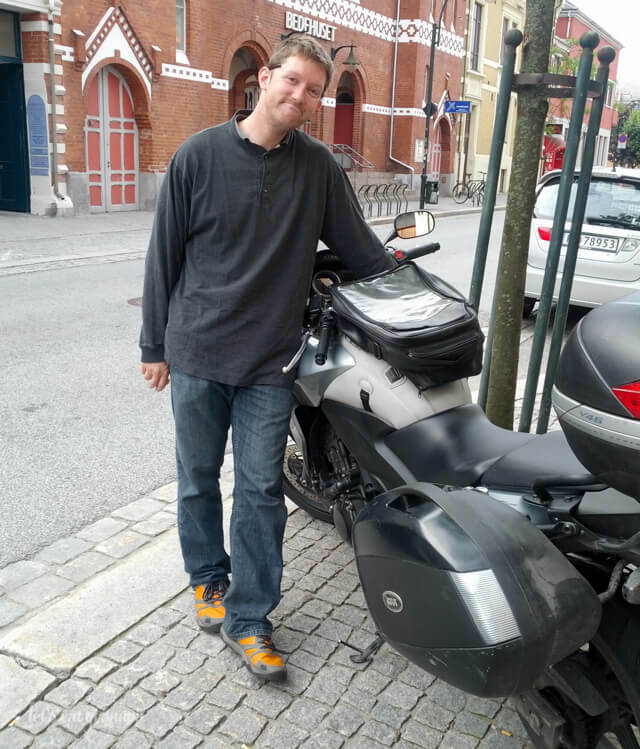 I donned a sweater and a long skirt that would have been impossible to wear on the motorcycle, and we set out to find our ferry to Denmark. After doing so many ferries throughout Norway, we thought we had ferries down. But this was a FERRY. A serious car-carrying machine. The lines to get on it were a mile long. And we had no gas…and nowhere to fill up. The car read “0 miles until empty.” We chanced it. Every inch got us closer to the ferry, which got us closer to Denmark, where we hoped there was a gas station. 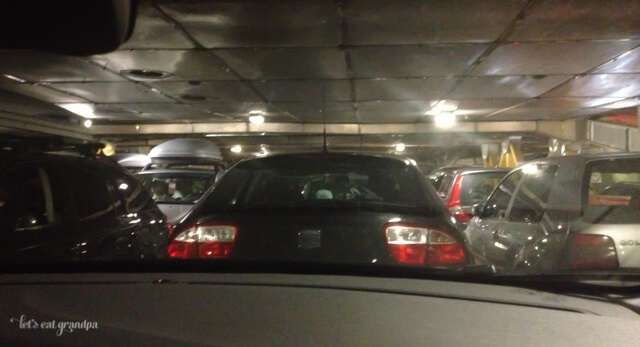 We got the car onto the ferry, parked like sardines several floors up, and made our way into the main ferry deck. It’s a four-hour ride from Kristiansund, Norway to Hirtshals, Denmark. We didn’t do much — read, napped, and ate ice cream. Once we docked, we prayed our way out of the ferry and down the ferry dock, and thankfully to a gas station. Narrowly escaped, Georges! Denmark’s landscape was completely different than Norway — instead of enormous granite mountains and sweeping vistas across fjords, we drove through quiet pastoral landscapes. Our destination was outside of Billund, Denmark, at the Bindesbølgård Farm Holiday. We were staying for two nights — after ten days of new hotels, we relished staying in one place for more than a night. It was run by a friendly couple, Ole and Helle, who welcomed us with open arms. And they had laundry. Oh, how they had laundry. We washed everything. And it was glorious. It really was a little farm. There were chickens outside our door. 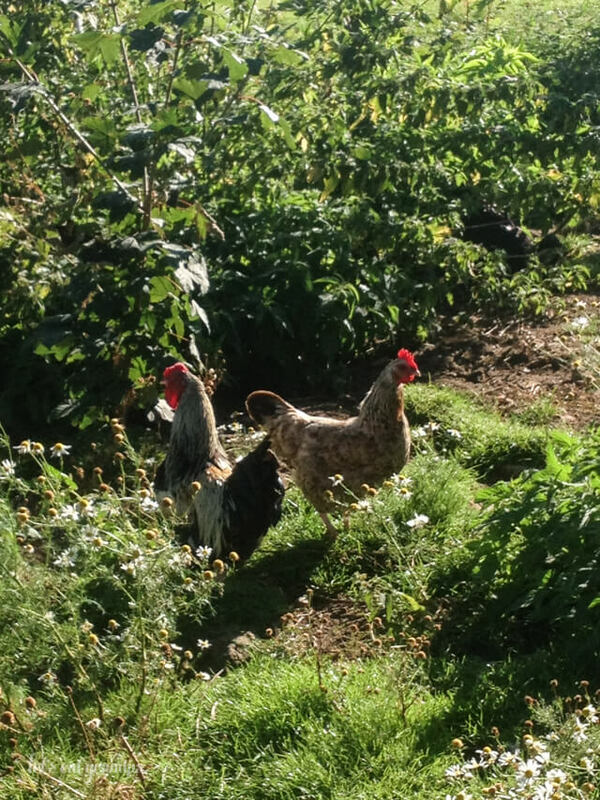 And roosters. And they made sure we were up at dawn! If dawn is 2:00 am. The next mornin, we headed for LEGOLAND! THE LEGOLAND. 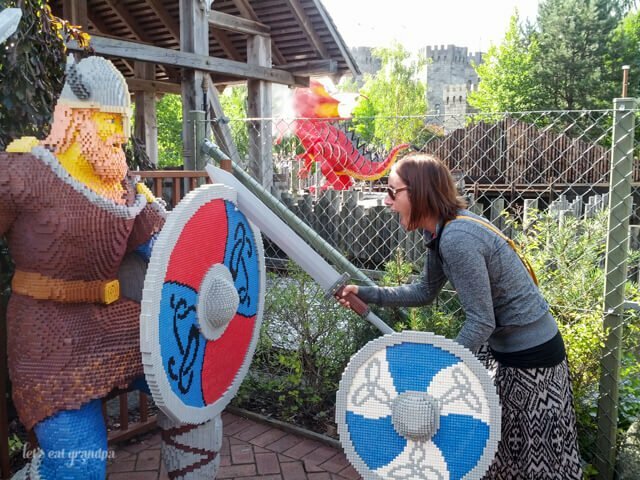 Billund, Denmark is LEGO headquarters. LEGO was integral in both of our childhoods, so we loved the idea of going to the LEGO mothership. 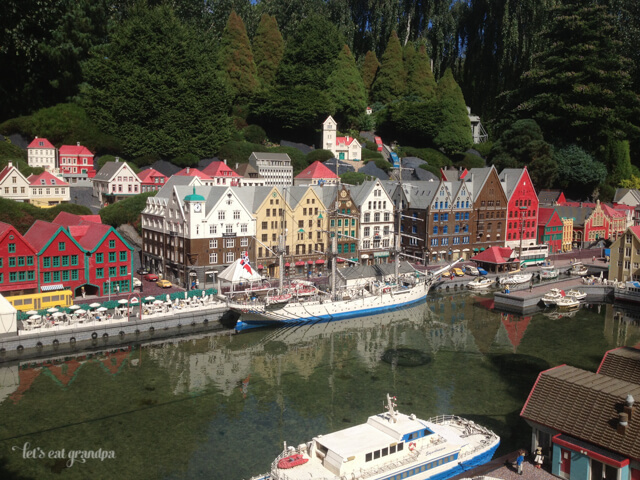 After a week and a half of mountains, trees, and fjords, LEGOland was a big plastic change. It was bright! And full of people! Who were loud! And childrens! Many childrens! But we had a great time. 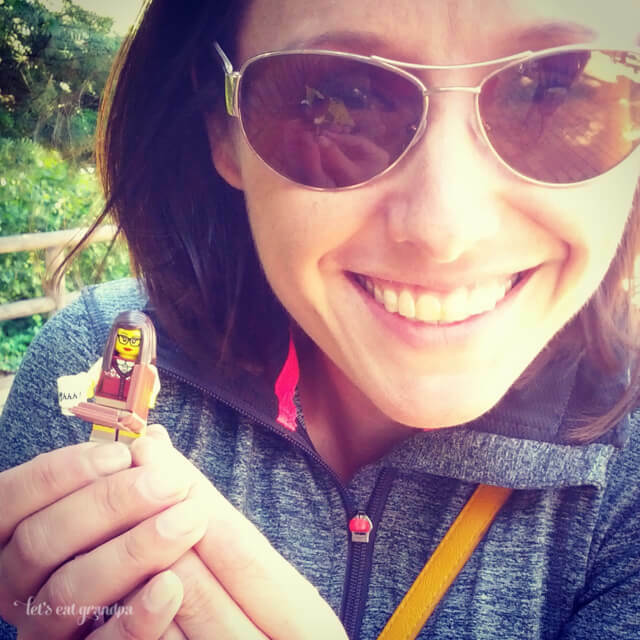 The rides at LEGOLAND are mostly geared to kids (very similar to LEGOLAND here in California), but we had a fun time walking around, looking at the incredible displays, and going through the shops. Some of the displays showed things we saw or were going to see on our trip, as well as things we’d seen in our other travels. We had already seen Bergen, Norway. The LEGO version was super accurate! And there was Mount Rushmore! And Neuschwanstein! We saw this later on our trip in Germany. 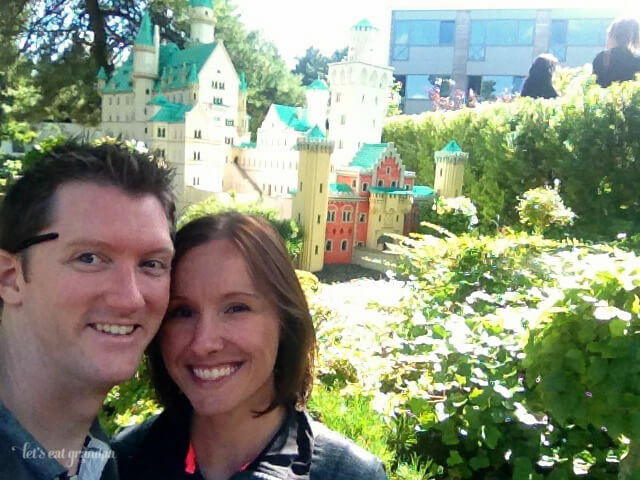 Spoiler alert: the plastic LEGO version was about as real as the actual Neuschwanstein. We treated ourselves to the LEGO Minifig Series 11, because we wanted a lady robot and a yeti with a popsicle, along with a bunch of other cool Minifigs. We are just building our future children’s LEGO collection. And testing them out now to make sure they work properly. Mmhmm. I fought a viking, and clearly won. While wearing a skirt. I also got a librarian. Which might be my favorite Minifig of all time. We ended our day on a ride called the Polar X-plorer. Most of the rides are tame, but this was a fun roller coaster with a big surprise. I won’t spill it, but it came as a total shock and scared the daylights out of both of us — and had us laughing for a long time afterward! We had a lovely evening back at the hotel, eating leftover pastries and museli from our Norway hoarding. 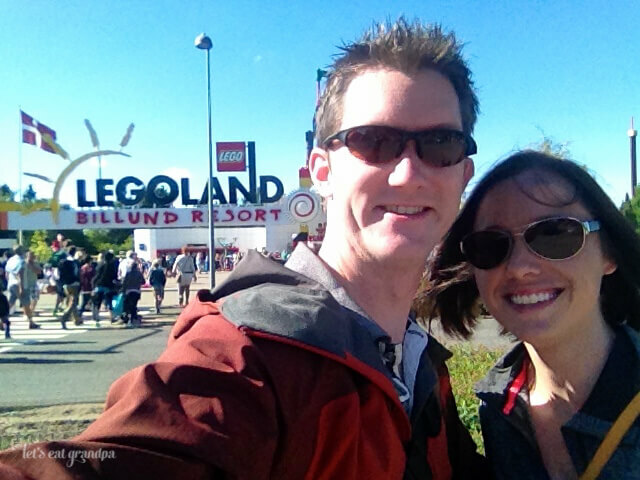 The next day our short stay in Denmark was over — we were headed to Berlin! 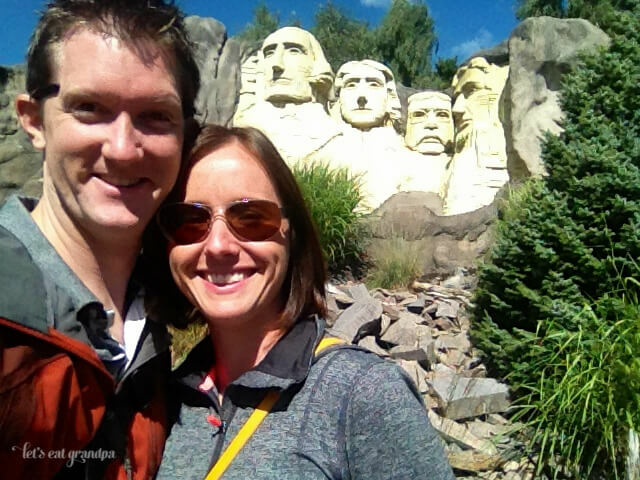 In the next installment of our honeymoon travelogue, Cori and Ryan eat a LOT of bratwursts.